What do you do when a wildfire breaks out? Mark Koontz, an expert in wildland fire management for the national parks, is here to answer our questions about tracking, managing, controlling, and fighting wildfires. Koontz is the Acting Branch Chief for Wildland Fire at the National Park Service. 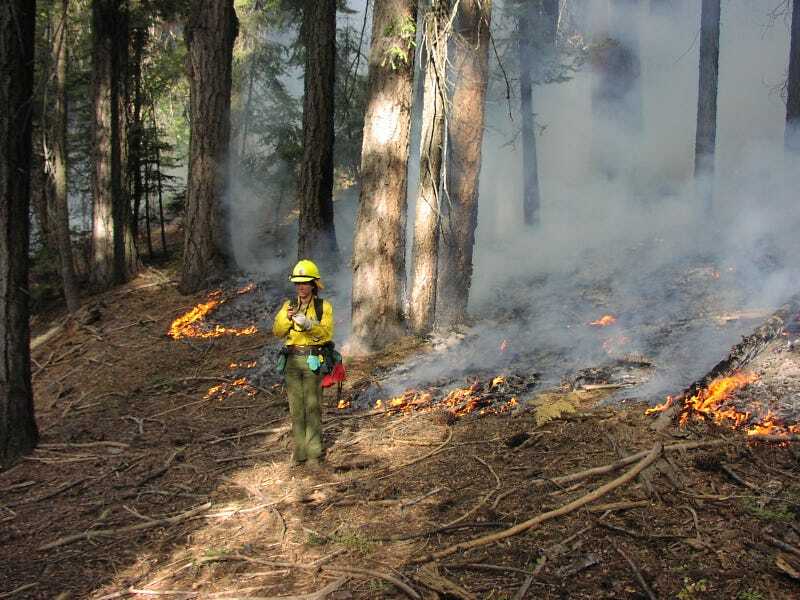 He previously worked on wildfire management for over 15 years at parks including Sequoia & Kings Canyon National Parks, Big Cypress National Preserve, and throughout the national parks as both a Wildland Fire Training Specialist and a Wildland Fire Training Program Manager. Koontz holds a Master of Science in Forestry and Natural Resources from Purdue University. He also has on-the-ground experience in controlling wildfires as both a member of the Hotshot Crew for Sequoia & Kings and as a smokejumper for the US Forest Service. Koontz will be here today from 10:00 - 11:00 A.M. (Pacific time) to answer your questions. So start asking him questions now about wildfire management, conditions, and just how the process of controlling them works.